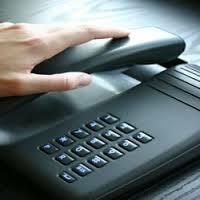 The telephone is your first point of contact with an employer, so it is important to make a good impression. They will get an immediate feel from your tone of voice and general telephone manner and this can be the difference between getting a call back or not. It’s very easy to send in your resume without even bothering to call, but making that call is a great idea as it gives you both a chance to make a personal connection and it shows confidence and initiative. It’s that extra personal touch that sets you apart from all the impersonal resumes the employer has been receiving. If you are very lucky you may be able to establish a good rapport with the hiring manager over the phone that might even give you a face to face interview. Calls can be made before you send in your resume to get more information about the job and its requirements, or after you have sent your resume as a follow up to both confirm they have received your application, and also just to introduce yourself. Before you call, read the job ad carefully, visit the company’s website and get an idea of the services they provide, their products and any other relevant information. Write down any questions or key points before you make the call, while you don’t have to read them back in full it will help to have them on hand so you don’t forget anything important. Make sure your questions are based on the job description and on the research you have done. Having well thought out and specific questions will show that you have read and researched with care. Use a private and quiet room to make your call – somewhere you won’t be interrupted by your mobile phone, traffic noises, loud music or screaming kids. Find somewhere quiet where you can focus and conduct a professional conversation. Say Hello ask for the specified contact and be sure to address him or her using Ms or MR, explain who you are and why you have called, and ask if they have the time to talk to you. Tell them about yourself and jot down everything they say, ask questions – that will show you are both a good listener and you are *on the ball*. At the end of your call, thank them for taking the time to talk to you. Note down the calls you have made, the date, the person you spoke to and what you discussed. After you call, send a short, polite e-mail thanking the person for taking the time to talk to you and send through your resume if you haven’t done so already. Recording yourself will allow you to hear what you sound like to others. You may find you rely on words such a *um* *like* and *er* a lot, or that you speak with a very unfriendly sounding voice. Feedback like this helps you to change any issues so you can inject energy and warmth which can go a long way towards making a good impression. If you have any advice to add, we’d love to hear from you. Hopefully these tips will work for you, let us know the outcome!